When you think about wood materials suitable for the African climate, Nordic soft wood is likely not the first material that comes to mind. As showcased at the Wood Conference 2019 in Cape Town, this well received brand is supplied countrywide through the Universal Plywoods’ branches, which are located in Johannesburg, Cape Town, Durban and Bloemfontein, with ample stock levels at all times to service clients’ needs. 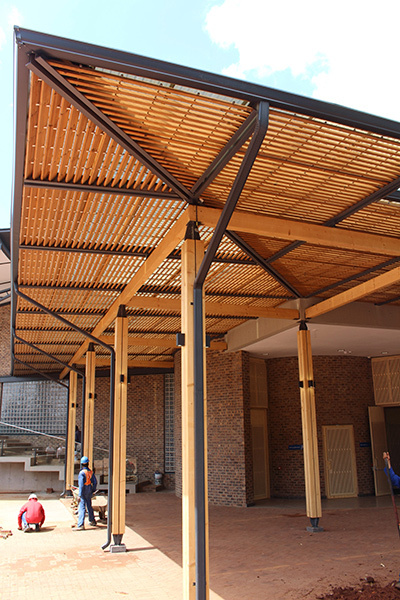 Since dealing with the exposure of the scorching sun and dramatic temperature changes throughout the continent, it’s simply too much for most wood material to handle, not to mention the few ecological options. 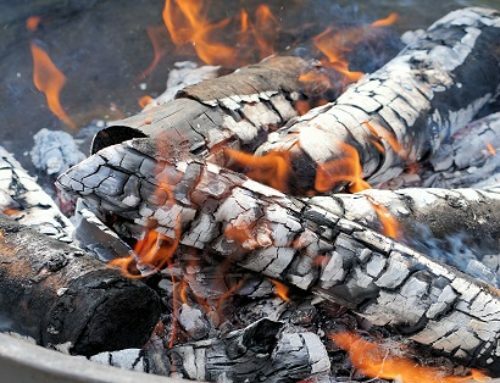 A little more than 30 years ago, Olavi Kärkkäinen, a passionate Finnish inventor and the founder of Lunawood, came up with a brilliant idea on how to develop a more ecological option for tropical hardwoods, using heat and steam. Studies on the possible benefits of thermal modification of wood began as early as the 1930s and 1940s in Europe and the US, but the manufacturing process never reached an industrial scale before the 1990s. Today, Lunawood produces over 150t/m3 of Thermowood for various architectural projects around the world and for industry using the very same method, bringing exceptional Nordic nature to urban environments. On paper, the thermal modification process seems simple, but taking a closer look reveals that what you save in lack of complexity, you must invest when choosing the raw material. Only healthy knotted top-logs are good enough for the thermal modification process when producing Lunawood Thermo pine. The quality chain starts in the well-managed Nordic forests. Thermal modification is achieved by using steam and high temperatures between 190 to 221°C. The real trick to the process is in the cooling and reconditioning phase. At the end of the process the moisture content of the timber is about 7% and the chemical and physical properties have been permanently improved. After the modification, the colour of Thermowood is modified. The higher the temperature during the modification process, the darker the colour will be. From sub-Saharan Africa to the subarctic tundra of Northern Scandinavia, Thermowood is proven to take on any climate with LunaThermo D, having a decay resistance of class two, which means that it can be used in any climate but direct contact with the ground is not recommended. The lowered equilibrium moisture content of Thermowood makes the product dimensionally stable for a multitude of purposes and the material retains its shape far better than untreated wood enabling the most challenging designs to be achieved. Resin, a sticky organic substance found in trees, is removed from the wood during the thermal modification process. As a result, the wood does not secrete resin even at high temperatures allowing the material to be used in all spaces including saunas. Thermowood is a product that shows no signs of slowing down. Not only is Thermowood an excellent choice in extreme climatic conditions, it also helps to improve the performance of any building as well as those who work and live within functional spaces. 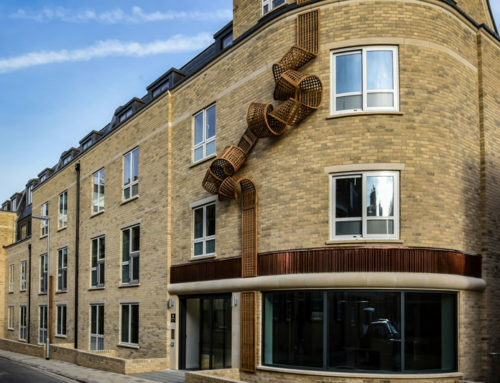 Once a building is adorned with Thermowood, natural beauty is evident and susceptibility to the damaging effects of the environment is significantly reduced. Exterior cladding and solar shades are one of the most prominent features of Thermowood. With much of Africa being situated in the intertropical zone, it calls for durability and stability like no other. Exterior cladding boards are extremely durable with outstanding dimensional stability. This makes it an excellent material in hot climatic conditions. Lunawood offers an extensive collection and solutions including wide cladding boards produced by utilising glue lamination technology for exterior cladding. When Lunawood is exposed to UV-light, it will turn a beautiful silver grey unless protected by a pigmented surface protection. 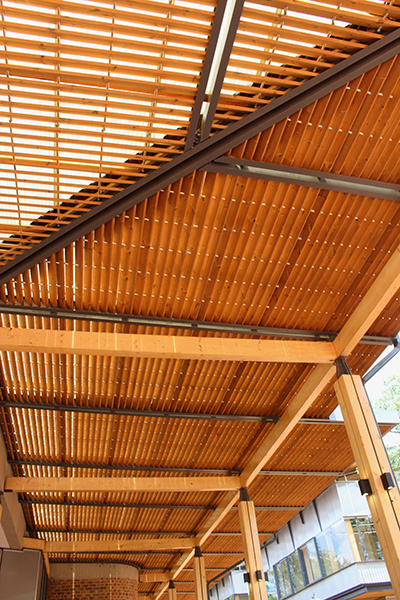 Solar shades are an excellent and ecological innovation to keep homes cool when exposed to the sun. 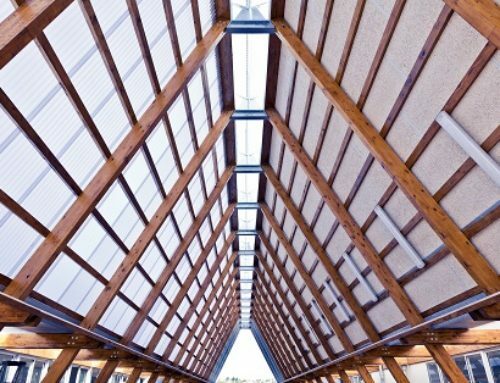 When applied, excessive solar rays are prevented from overheating the spaces within a building. 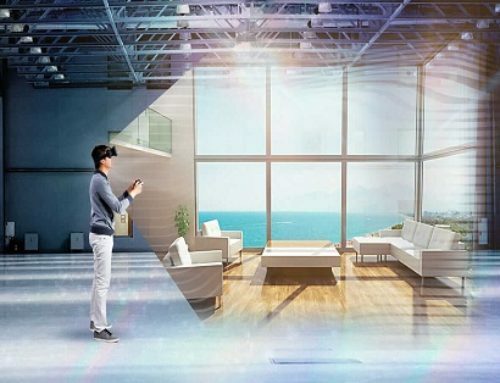 Solar shades are not just limited to shielding against rays of the sun. Solar shades are versatile products and are an excellent solution for many other purposes like exterior cladding. Thermowood also provides sustainable outdoor living. Lunawood’s range of decking solutions are inspired by Nordic nature and their long-lasting decking products require little upkeep and are well suited to sub-Saharan temperatures. The University of Pretoria’s new Future Africa campus is a dynamic living, learning and research environment place where Africa’s leading scientists and scholars from across the world come together. 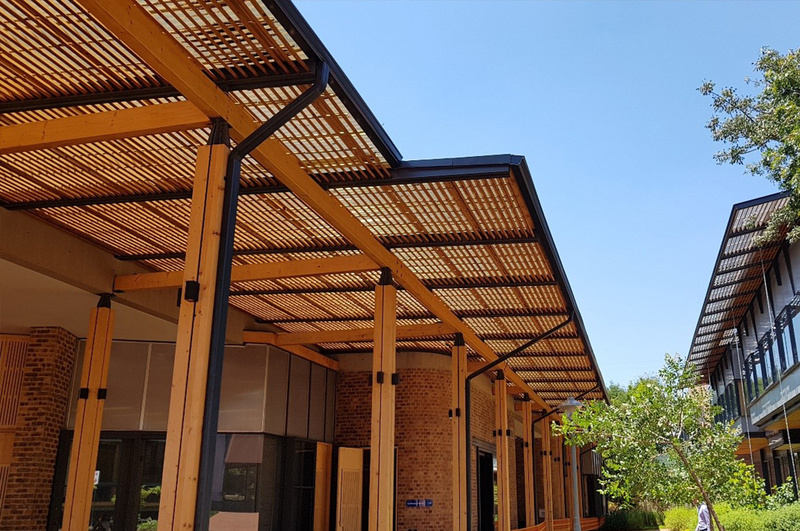 The new campus area has been spruced up with Lunawood’s Thermowood solar shades to protect the windows and passageways from the sun and to give a natural atmosphere and all supplied by Universal Plywoods. Innovation and sustainability play an important role in Lunawood. The company’s value proposition offers people to make the connection between urban environments and nature. Lunawood has and will continue to set quality requirements for Thermowood to take on full responsibility for the care of the environment. To ensure this, the quality chain goes all the way from sourcing sustainable wood products which in turn benefits the consumer / end user. Lunawood reconnects people with nature in urban environments, making the forest available to all. These innovative and sustainable products improve lives in the most healthy and durable ways while promising a bright future ahead. 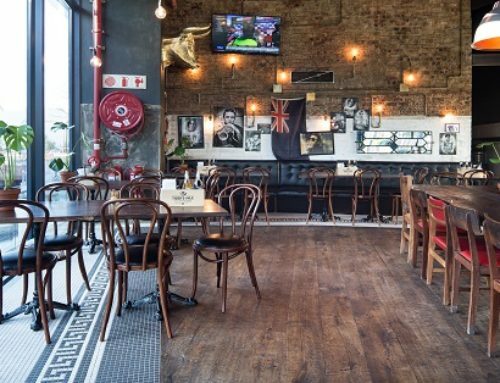 Lunawood products are available through all of the Universal Plywoods branches in Johannesburg, Cape Town, Durban and Bloemfontein.